“I love using Hey! It feels like a dating app, but for brands and influencers. It's super fun, efficient, and easy. We put a campaign out into the world, and suddenly it's on. WHAT: Fluff wanted to do something a little different; get influencers to post about a brand message, rather than a product. 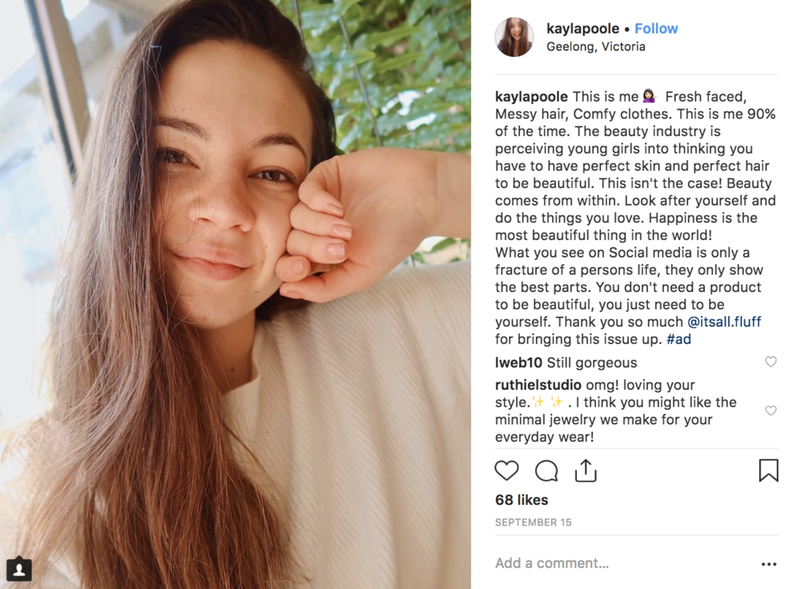 It started with a simple concept: Fluff wanted women and girls to post a selfie to their Instagram (with or without makeup, whatever they want), and tell their audience about the issues they have with the beauty industry. 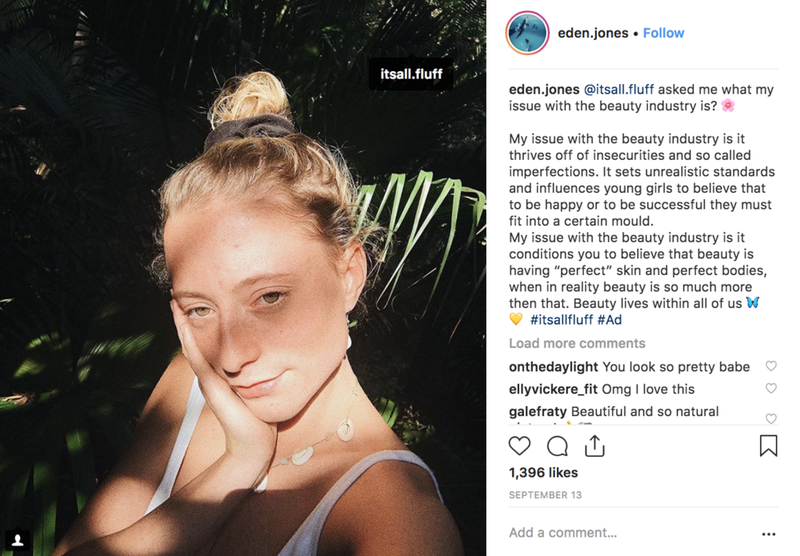 Fluff was able to engage with genuine influencers not yet on their radar who not only created selfie content for the campaign, but also crafted meaningful copy in their captions that addressed the campaign question: ‘What are your issues with the beauty industry’? 10 vetted influencers participated in this cost-effective and highly impactful campaign. The campaign reached an engaged audience of almost 200k in Fluffs’ primary demographic, with an incredibly economical ‘cost per engagement’ (CPE) of just 4 cents.